Lad, a handsome collie, rules the Place for his master and mistress. With his sleek mate, Lady, at his side, he chases away neighborhood dogs and intruders. But one day, when the master brings home a spirited young male, Lady starts to spend all her time running with the newcomer. Will Lad be able to win back her loyalty? For Lad, the excitement is just beginning. Throughout the pages of this classic story, he faces one thrilling adventure after the other. A poisonous snake, the police, and hostile city streets are only a few of his challenges. 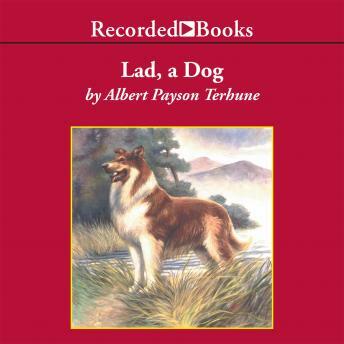 Albert Payson Terhune first recounted his own dog's exploits in a series of short stories for magazines. When readers of all ages praised Lad, Terhune collected the tales into the heartwarming volume that has captivated young readers for over 70 years. With John McDonough's skillful narration, Lad, his furry friends and foes, and the humans in his life spring vividly from the pages.